Prepare your glasses by dipping your finger in the honey. 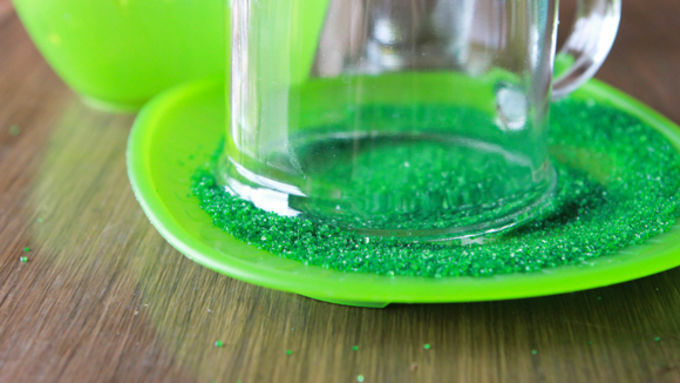 Run it along the rim of each of your glasses, then dip in green sugar. Set aside and allow to air dry for a minute or two. 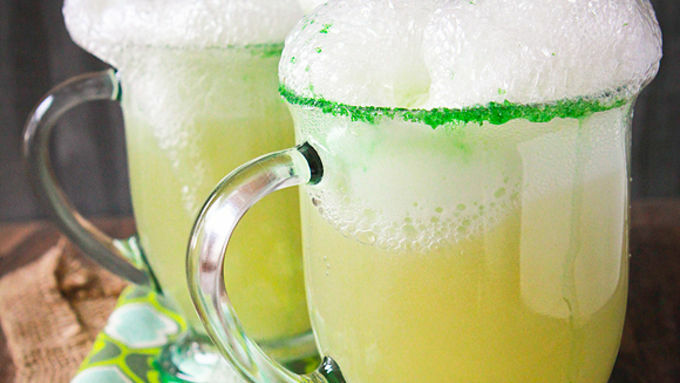 Pour 1/2 cup of sweetened lime juice concentrate (available in the alcholic-mix section of most grocery stores) into the bottom of each glass. Add 1 cup gingerale to each glass. Scoop 1/2 cup of lime sherbet into each glass. Serve immediately. 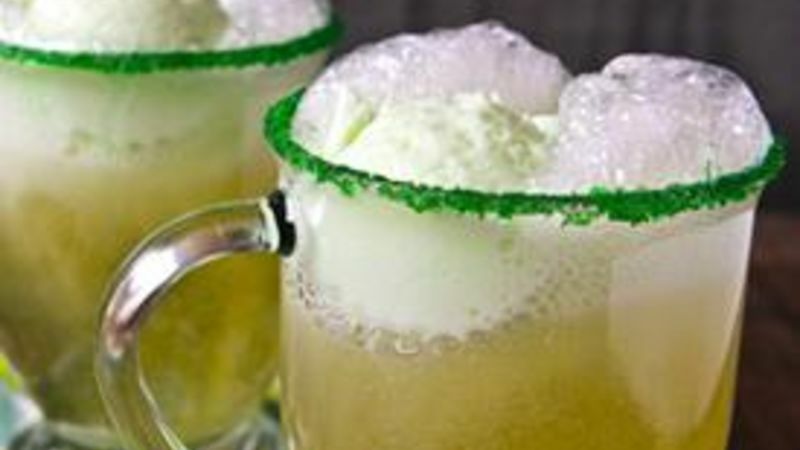 No need to get tipsy this St. Paddy's Day! 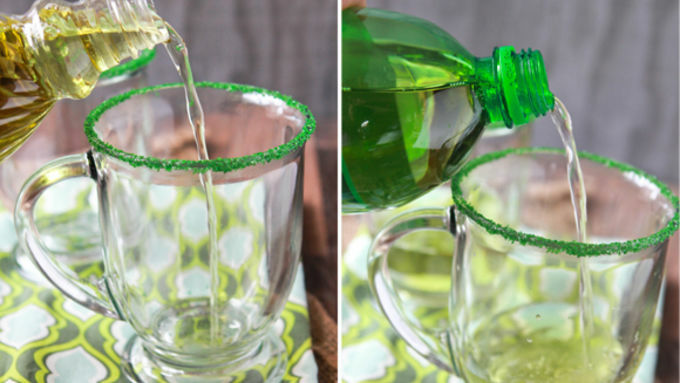 You can get downright bubbled up with this nonalcoholic Irish drink! Breaking out the pints is always fun for grown-ups on St. Patrick's Day. But, here's to drinking in a family friendly way! This easy, foamy Shamrock Ale is perfect for all ages to drink in some green and celebrate the day of Luck and Lager! Raise your glasses to good luck, fortune, and family-friendly Shamrock Ale!